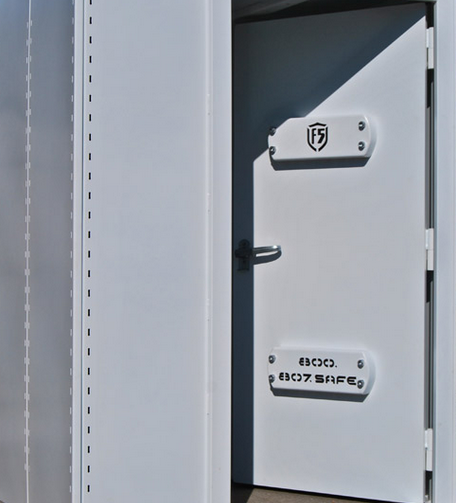 Each Safe Room is 4 feet deep OUR STORM SHELTERS MEET AND EXCEED FEMA GUIDELINES FOR STORM SHELTER CONSTRUCTION and 6 feet wide and 6′ 4″ tall with no permanent seating and can be built using concrete or metal. We also offer 4′ x 8′ safe rooms and can also build customized metal or concrete safe rooms that meet your particular needs. We purposely left seating out to allow for your own stools or fold out type lawn chairs etc. It allows for the entrance of a wheel-chair or electric scooter chair for those that need them. The door swings to the inside to be able to be opened if debris might be piled against it. It comes with three interior 3/4″ steel latching pins to secure the door. It also has a locking dead bolt to be able to use it as a safe. 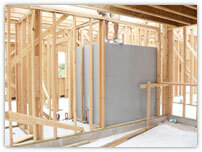 The walls are 1/4″ plate and has 2″ steel tubing framing. 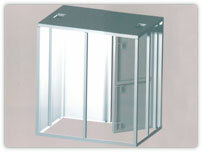 Our storm shelters meet and exceeds FEMA guidelines for storm shelter construction. The safe room shelter is anchored to an existing slab with 10- 1/2″X 4″ Red Head wedge anchor bolts. There is nothing on the market stronger or anchored with any heavier anchoring system. It can be installed in one day and can be put in a garage or in a closet etc. while constructing your home. Each Safe Room is 4 feet deep and 6 feet wide and 6′ 4″ tall with no permanent seating and can be built using concrete or metal. We also offer 4′ x 8′ safe rooms and can also build customized metal or concrete safe rooms that meet your particular needs. We purposely left seating out to allow for your own stools or fold out type lawn chairs etc. It allows for the entrance of a wheel-chair or electric scooter chair for those that need them. The door swings to the inside to be able to be opened if debris might be piled against it. 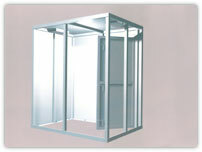 It comes with three interior 3/4″ steel latching pins to secure the door. It also has a locking dead bolt to be able to use it as a safe. 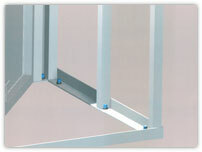 The walls are 1/4″ plate and has 2″ steel tubing framing. 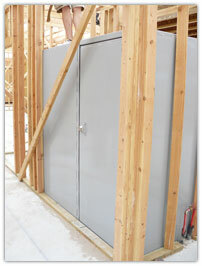 Our storm shelters meet and exceeds FEMA guidelines for storm shelter construction. 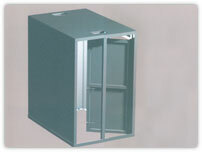 The safe room shelter is anchored to an existing slab with 10- 1/2″X 4″ Red Head wedge anchor bolts. Contact Red Zone Storm Shelters Today! Stay ahead of the storm and finance your shelter with low interest rate financing through LightStream. Copyright 2017 Red Zone Storm Shelters. All rights reserved.